Home > Go Kart Parts > Go Kart Cables, Rods and Fittings > Brake Clevis, 8MM Hole Dia. 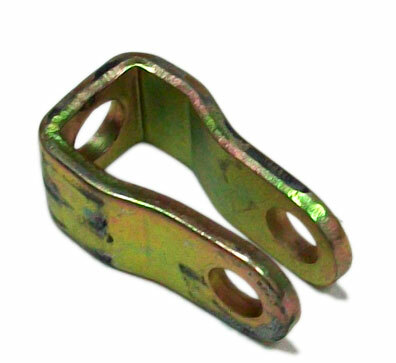 This brake clevis is compatible with most brake systems used on GY6 150cc go karts, ATVs, & CUVs. * This was compatible with for the Spiderbox serise of go-karts from Yerf-Dog model 42101. The clevis has an 8mm end hole, with a 7mm guide holes.